There’s been a lot of talk surrounding the July 4th discovery of the Higgs Boson particle. It’s an idea that’s way over most of our heads, but I’ve attempted to round up everything I’ve learned and present it in one place. 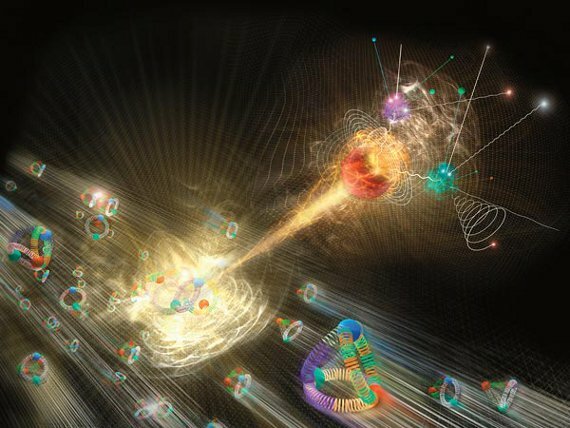 To grasp how the Higgs Boson fits into modern science, we need to take a few steps back. One of the grandest goals in theoretical physics is to develop a theory that will explain all known physical phenomena, account for their interactions, and predict the results of all experiments. This aptly named idea is commonly referred to as the Theory of everything. The biggest road block in developing such a theory is finding a way to unite Einstein’s general relativity (what we understand about gravity) and the Standard Model. The Standard Model has many applications, but at its core tries to explain how elementary particles (those that we cannot currently break down further) interact with the universe as we know it. There are 61 known elementary particles in the Standard Model, which includes quarks (the building blocks of protons and neutrons), leptons, gluons, photons, and many more. One of these “many more” is the higgs – also known as the Higgs Boson or God Particle. Now, that we’ve established a brief background, what is the theory behind the Higgs Boson? Originally devised by Peter Higgs in 1964, this proposed elementary particle could explain why not all elementary particles are massless. In other words, if its existence was proven, it could help explain why things have mass and why some particles have more than others. The idea is that there is a Higgs field and when particles interact with it they acquire mass. This is eloquently explained below. The European Center for Nuclear Research, CERN, has an impressive list of achievements. These include being the birthplace of the internet and home to the Large Hadron Collider, the world’s largest particle accelerator and the backbone behind most of their latest research. After years of work, CERN announced on July 4th, 2012 that they had likely found the long awaited Higgs Boson. People have claimed that the confirmation of the Higgs Boson would explain where mass comes from and prove/disprove the existence of God. Not so fast! It really has nothing to do with any deity. It may give scientists a better understanding of how the universe works, but has no obvious spiritual relevance. In 1993 physicist Leon M. Lederman wrote a popular science book that discussed the Higgs Boson and nicknamed it the God Particle. The reason for this nickname is not a spiritual connection, but because of the elusiveness of the particle. If CERN has indeed found the Higgs Boson, what does it mean? Besides strengthening the Standard Model and numerous other theoretical implications, there are enormous possibilities of practical applications. When the electron was discovered nobody knew it would lead to the wonders of modern electronics. 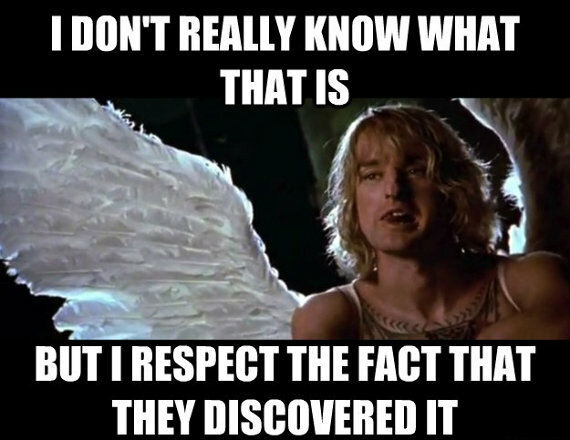 Similarly, there is no way to understand the magnitude of this discovery. It could end up being nothing, or it could change the world. At this point, it’s impossible to know which. Many don’t see any use beyond theoretical purposes, but some are more optimistic. The most interesting thing I’ve read is that the Higgs Boson could make light speed travel possible. The idea is that objects could be “un-massed” and shot through space at the speed of light and then “re-massed” by tinkering with the Higgs field. Of course, traveling faster than the speed of light opens up the potential for time travel and other ideas that would be classified as science fiction*. 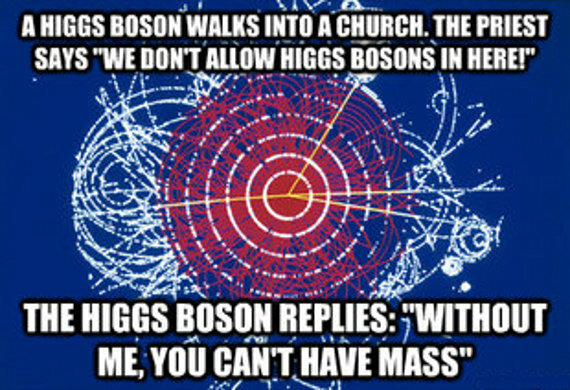 No round-up of Higgs Boson information would be complete without a joke or two. Buckle up for some Higgs humor. If you have any jokes, or anything else to add or take away from this article, let us know in the comments below. *Note: Just typing this sentence makes me giddy. Your 60’s hippie-looking scientists begins to explain the Higgs Boson as a particle traversing “empty space” and acquiring something akin to mass. I’ve never traveled through empty space and acquired anything but age. Maybe mass=age? The name of the particle could turn people on to learn more. It also could turn people off. I am fascinated in that people have some different responses to the same information. Is it the same information? you have given me a lot to think about. Thanks for posting. Perception is everything. Thanks for reading.